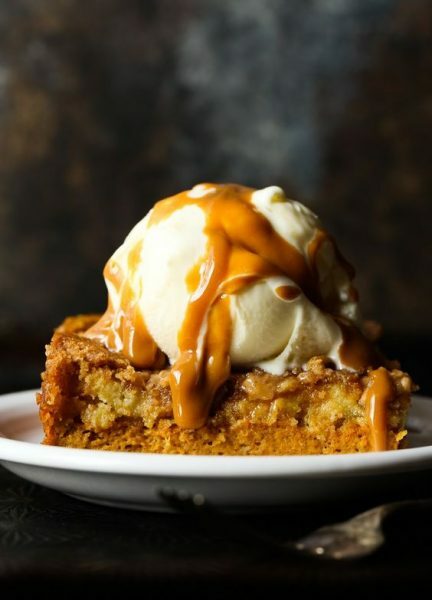 The temperature is dropping here in the Northeast, the calendar just got flipped over to September, and it’s time for Pumpkin Spice Everything. Here are five ways to celebrate the best season of the year, the season of cold snaps and warm spices. 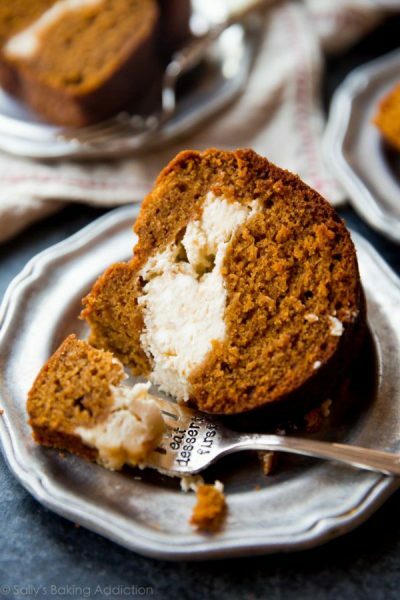 Bundt cakes are the Zha-Zha Gabors of the baked goods world. They’re curvy, rich and complete show-stoppers. 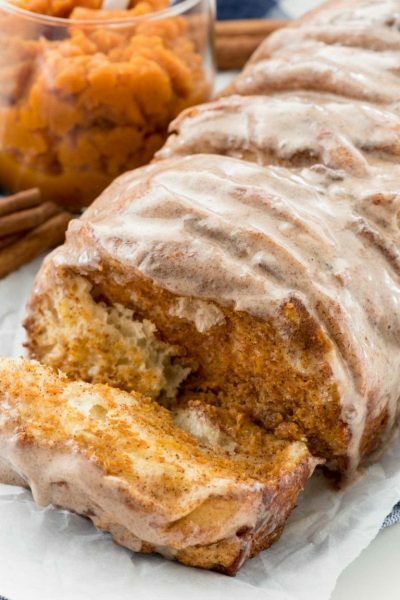 This particular one is full of pumpkin-y, cream-cheesy goodness and is guaranteed to help you win friends and influence people. 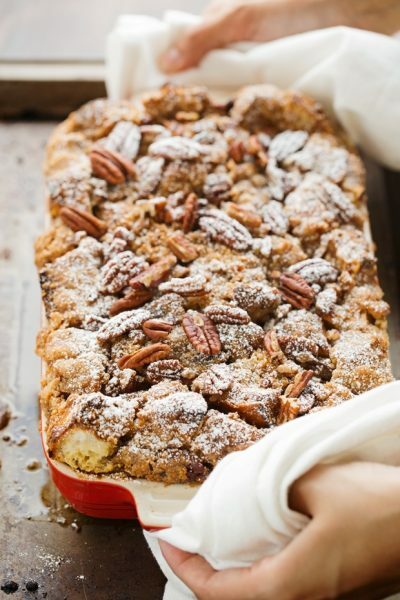 The best thing about a casserole like this is that you make it the night before, stick it in the fridge and the next morning you just bake it and dig in, or take it to work to further endear yourself to co-workers. The choice is yours! 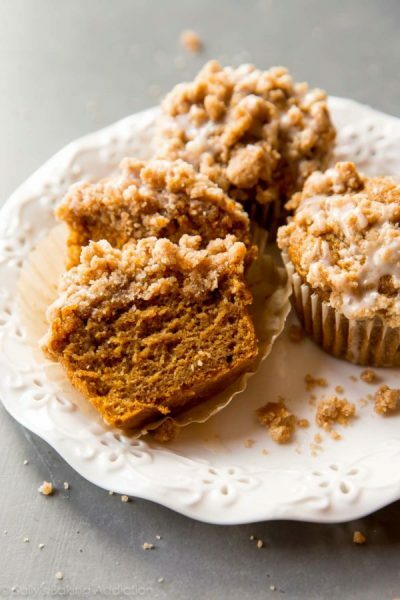 How can you resist something called Pumpkin Crumb Cake Muffins? They just sound perfect, don’t they? Psst… I’ll share my favorite tip with you, but don’t tell anyone else! Make the crumb topping first thing and then stick it in the freezer while you make the muffin batter. Then take it out and chop it up with a fork and top the muffins with it before it goes in the oven. The crumb topping will stay nice and crumbly and won’t seep into the muffins. Easy-peasy-lemon-squeezy. But without the lemons, and with pumpkin! I don’t normally get excited about “dump cakes.” There’s just something off-putting about the name for me. However, I trust Shelly Jaronsky (see my review of her cookbook here) and as usual I’m glad I did! This was stupid easy and crazy delicious. It was an amazing half pie/half cake concoction that thrilled all of my taste-testers. Actual footage of cake tester. Mix thoroughly and store in an airtight container. Enjoy!